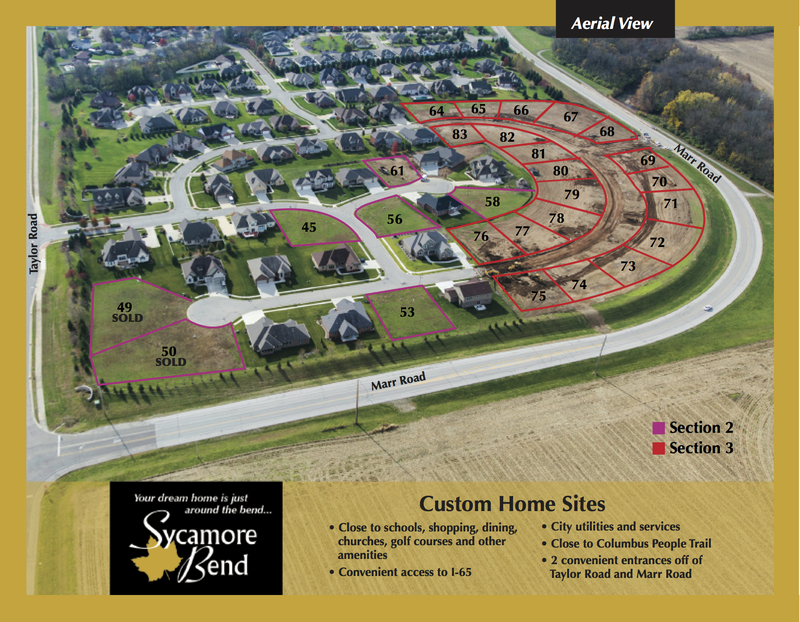 The Sycamore Bend subdivision is a family-friendly community located in the convenient area of Columbus, Indiana. Other housing developments as well as Haw Creek and a nature park, surround it. A people trail is to be constructed adjacent to the subdivision. This attractive planned community features a high level of architectural design focusing on the streetscape amenities consisting of custom streetlights, signs, landscape buffering and an inviting entrance.